A quick look at some photos from my recent Sydney trip. The trip started off beautifully with a lunch with an Art Consultant friend at the Museum of Contemporary Art by Circular Quay. Looking the beautiful blue sky and the lovely weather was a great break from Melbourne which was freezing cold earlier this month. Such a iconic view of Sydney too! 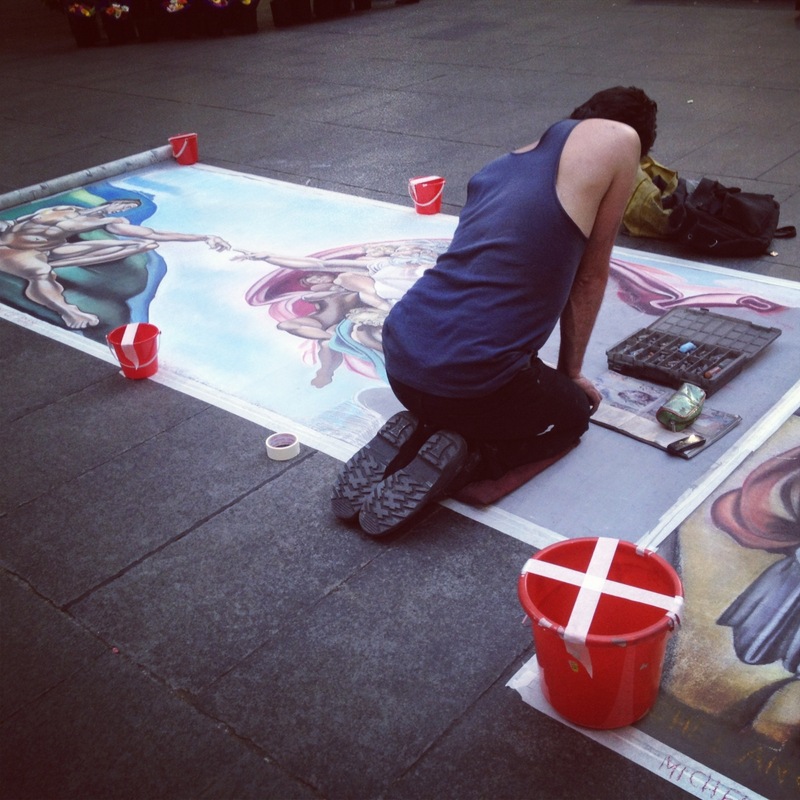 While chalk/pastel drawing is pretty common in Melbourne, I like the idea that Art is often seen around Martin Place (CBD area) alongside heaps of interesting promotions. For those of you who remember the Tim Tam’s Truly Madly Campaign, where Tim Tam were hanging off trees, this is the place where it happened. 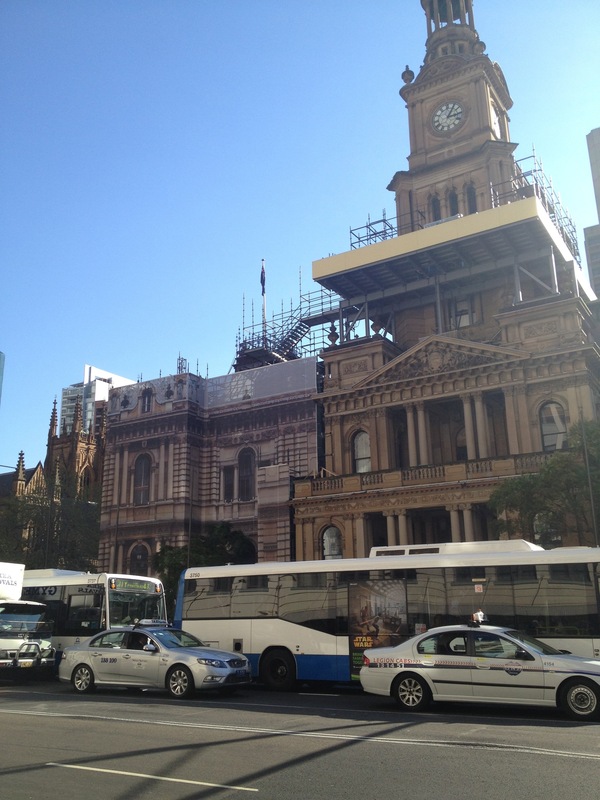 Sydney shows us how to tastefully cover up ugly construction sites while providing a sneak peek of their finished Town Hall renovation. 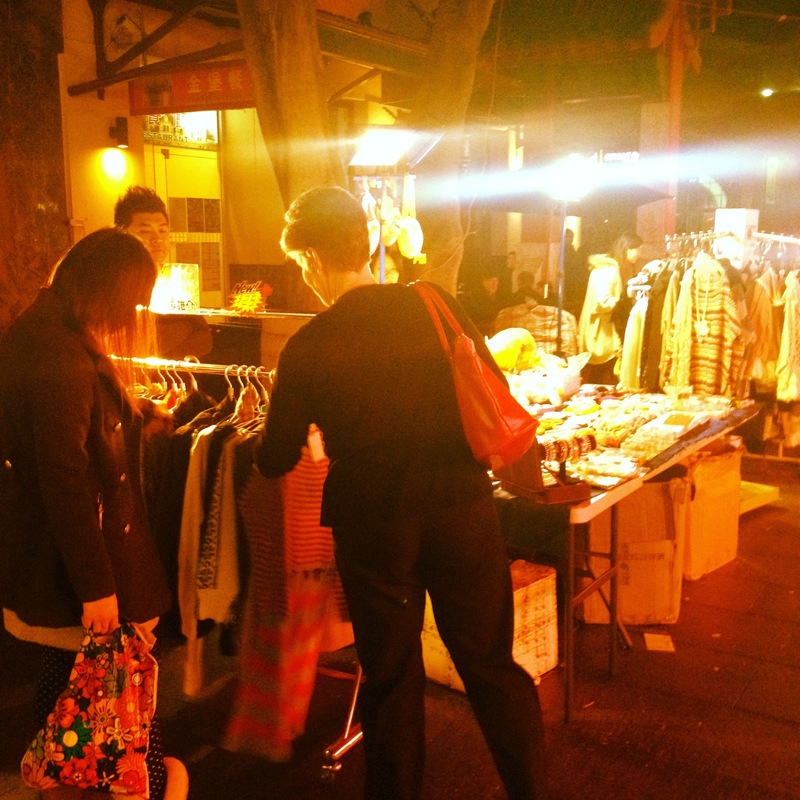 I’ve always loved Hay Market for it’s pretty authentic Asian cuisines (totally dig the Taiwanese desserts there), but nothing beats its weekend night markets! The smells, sounds and people really makes me feel like I’ve transported back to Asia. 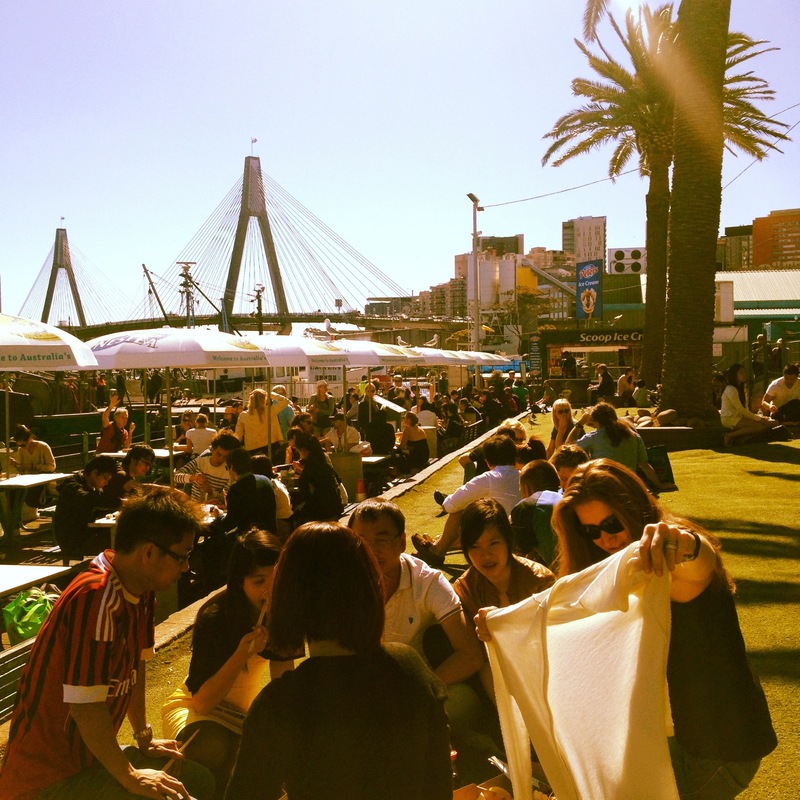 Another one of my favourite places in Sydney, The Sydney Fish Market! Fresh seafood, reasonable prices, beautiful summer day, view of the waters filled with yatches and loads of happy people. What’s not to like? All photos from this post has been shot with an iPhone 4s via Instagram. 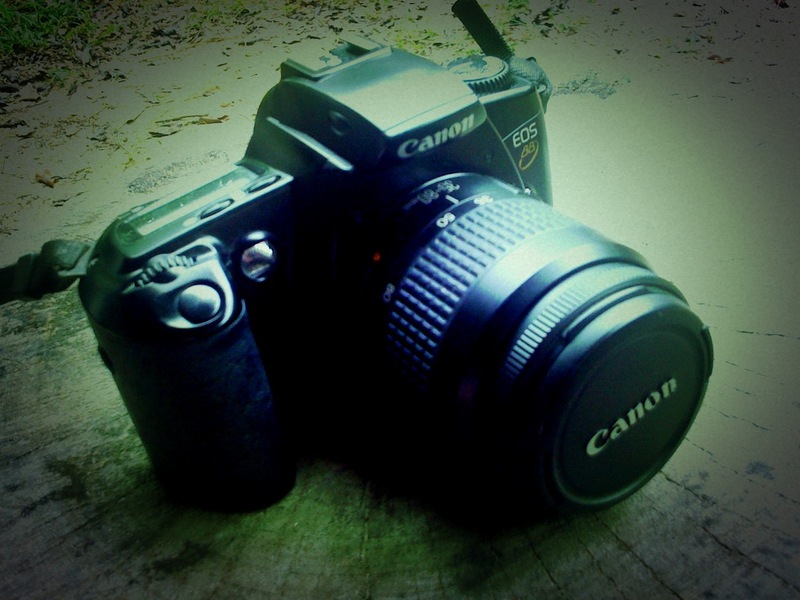 Why do I rarely travel blog these days? 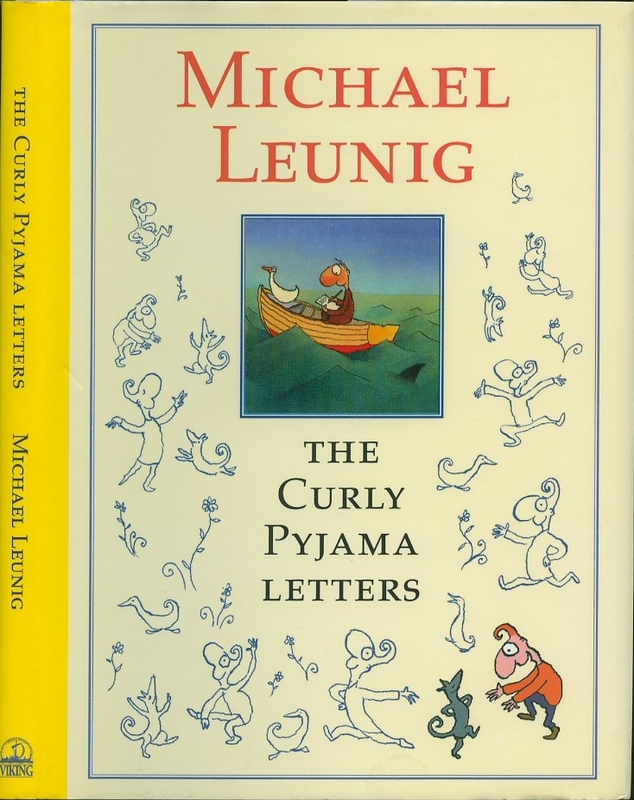 Apparently, there’s a comic series by Australian cartoonist Michael Leunig, the most famous being The Adventures of Vasco Pyjama. Through my mate’s interpretation, Vasco Pyjama (a pun on the name of real-life Portuguese explorer, Vasco da Gama) is an adventurer who likes to see a plethora of places, which Mr Curly choses the depth of knowledge over the superficial peep. So am I Vasco Pyjama or Mr Curly? Not exactly Mr Curly in the sense of staying still in one spot, but I’ve learnt that local culture is a huge part of the traveling experience. For those who know me personally, you’ll know that I love analyzing human behavior be it from a psychoanalysis, artistic or business analysis standpoint. Living in Melbourne for an entire year, not only allowed me to understand the geography in terms of suburb (Where are the Arty spots? 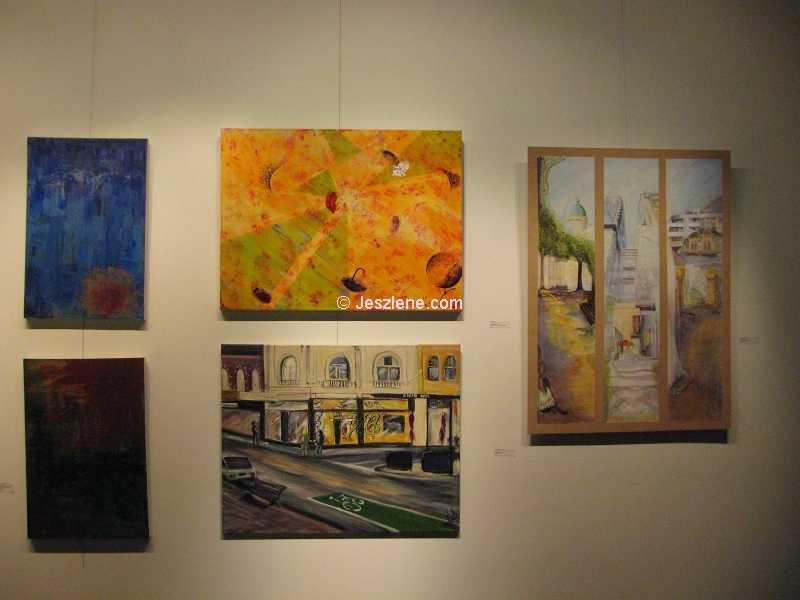 What’s the difference between the north side Arts scene VS the south side Arts scene? Where’s the REAL Chinatown? 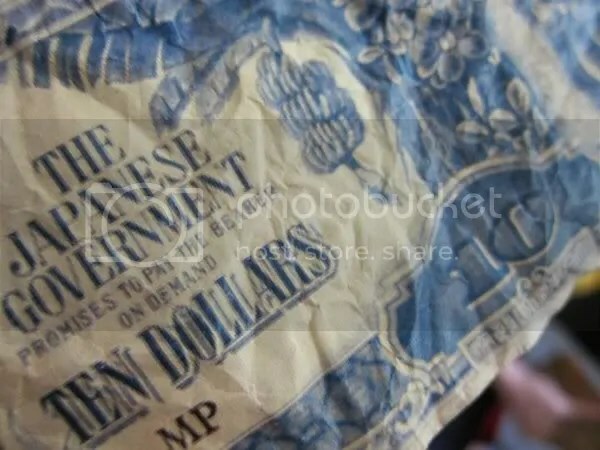 Clue: Not the CBD, nor Boxhill), the subcultures (I lived in a Fitzroy warehouse with the indie artists, stayed in a caravan with the carnis, party with grammar school alumnus, lived with country raised Australians, etc), the education system, value systems of various social economic groups, and heaps more! So why do I rarely travel blog these days? I guess when you’re living a local life, you see your city in a different light. The Flinders station for example, ceased to a tourist attraction. 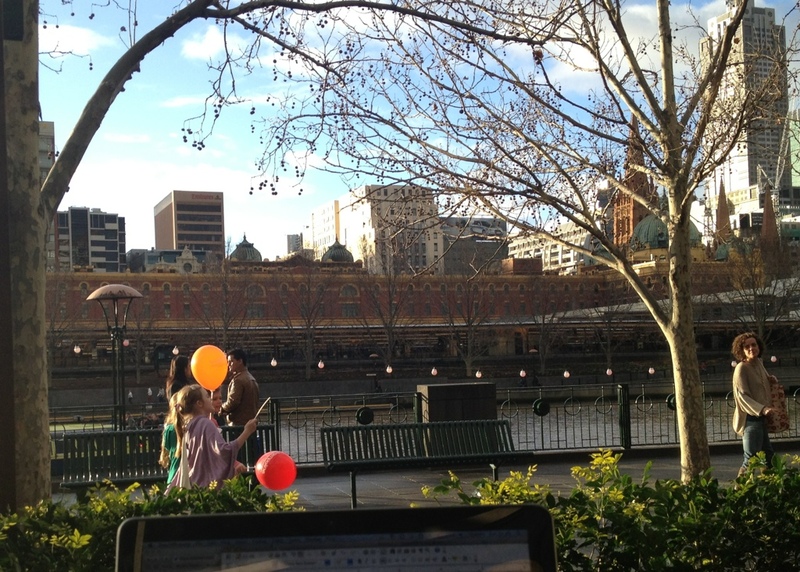 It is merely the station I get off in order to meet my mates for a drink at Fed Square, and on occasions, the view I have while working on my laptop by the river (above picture). Also, my travel patterns change, because the Old Melbourne Gaol will always be there (yes, I have yet to visit) but I’ll jump at a day trip to Ballarat with my mates, simply because I don’t drive, and the country is always a refreshing change from city life. However, I have recently started instagramming, and going shutter happy on my iPhone, so who knows, I might just start travel blogging again. 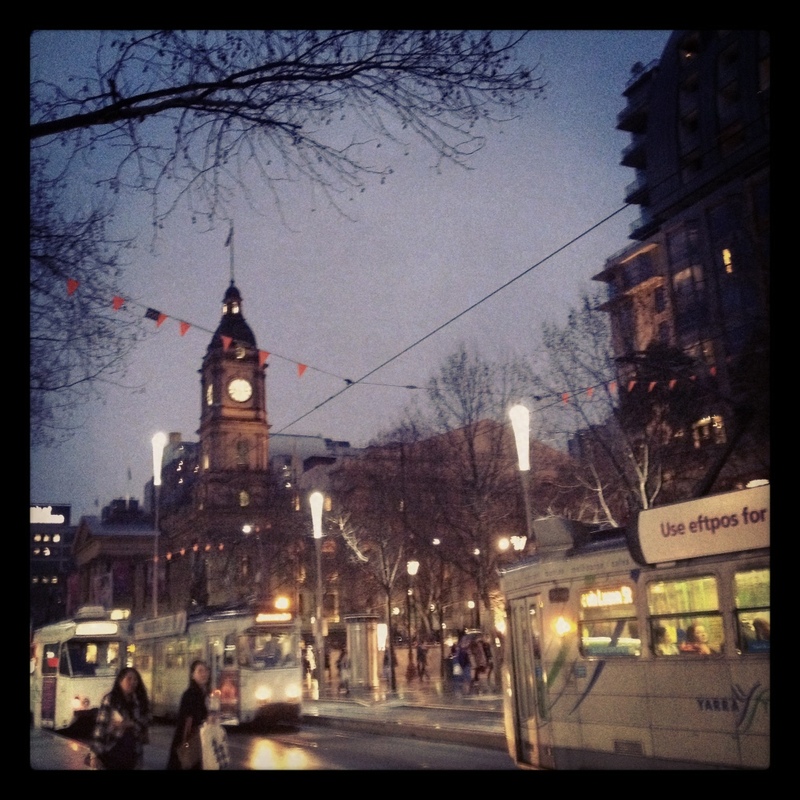 Meanwhile, rain or shine, winter or spring, here’s a piece of my current home, Melbourne. All photos from this post, except for the book cover, has been shot either using an iPhone 3 or iPhone 4s. 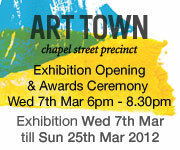 ART-Town at Chapel Off Chapel! The Art Town public art project and exhibition is presented by Streets Ahead Promotions and supported by the City of Stonnington. Over two weekends the Chapel Street precinct welcomes 30 artists as they create artworks live on the street in four highly-visible locations; Grattan Gardens, the Colonnade, Yarra Lane and corner Maddock & Chapel Streets. 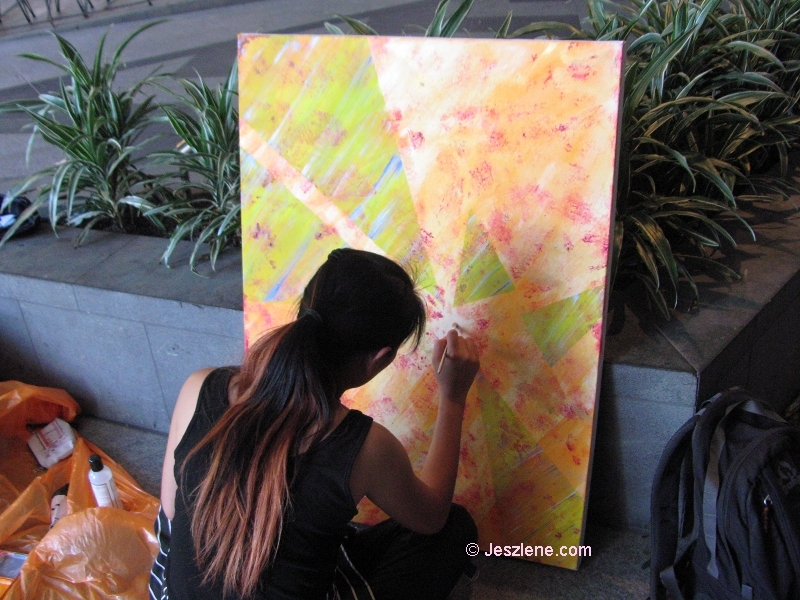 ART-Town visitors and passers-by are treated to a rare glimpse into the artists’ creative process as they are inspired by their surroundings. 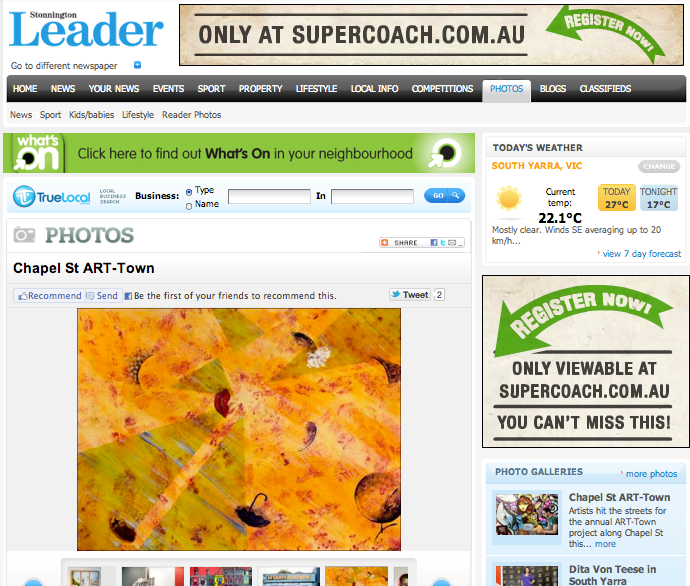 Of course the two weekend festival is followed by an exhibition at Chapel off Chapel, City of Stonnington’s premier venue for the arts. Are you currently in Melbourne? If so, please drop by and show some support! Featuring Claire’s Earl Grey (left) and Bunny Egg (right). Sorry my blog’s been kinda quiet lately. Am heading to kangaroo & koala land pretty soon, and there’s loads of errands to be sorted before this trip. Will still be finishing my Vietnam posts (note to self: never procrastinate travel blogs for they get harder to write over time) before starting on my Aussie trip. 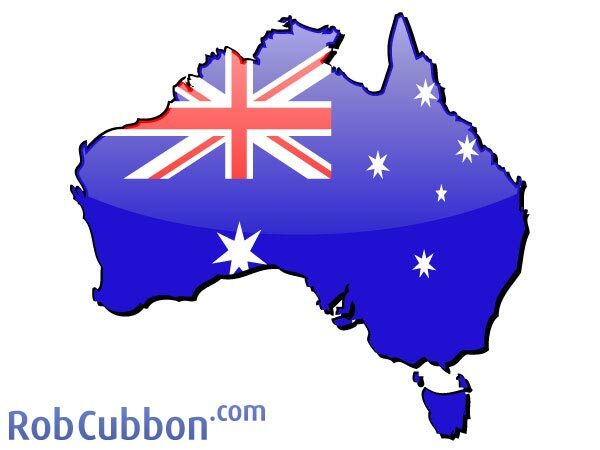 Please be patient with me, and do look forward to my Australia blogs too! Tim Burton’s exhibition in Melbourne! 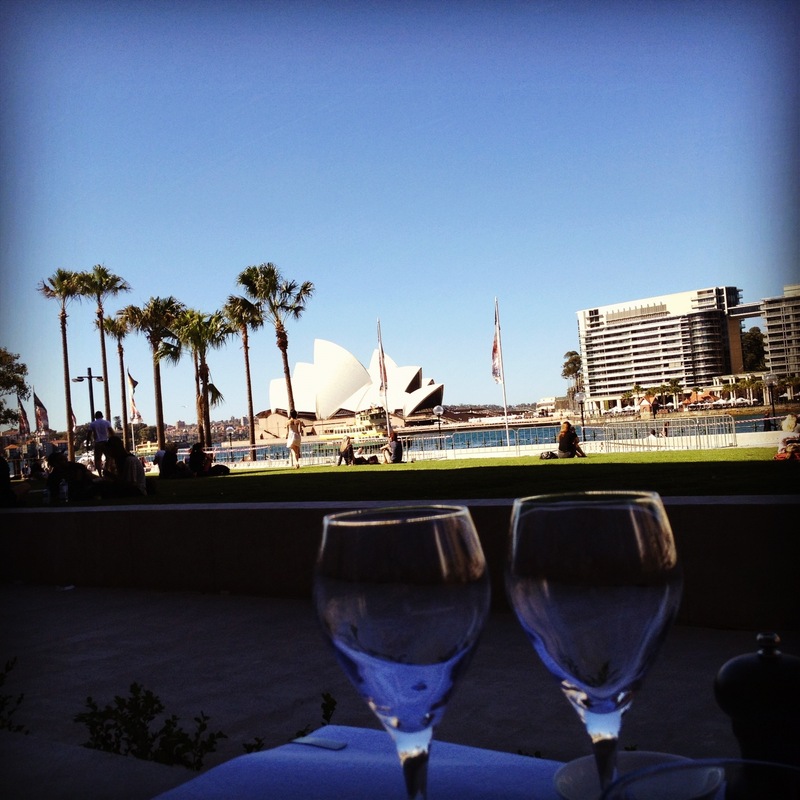 Sightseeing and Arts events in Sydney! I’m getting pretty excited myself, since it’s a fairly long trip and I’ll be moving into an apartment (after a month long road trip) instead of hotel hopping. A whole new travel experience living down under! Still living life passionately, & enjoying every minute of it!! 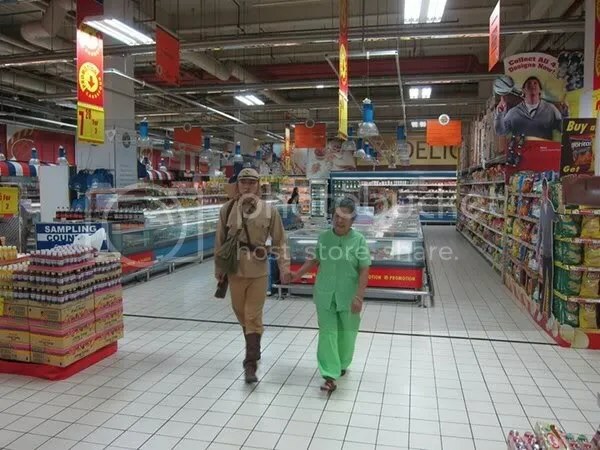 and the stains on their relationship during the World War. who was also emotionally scarred by war traumas. 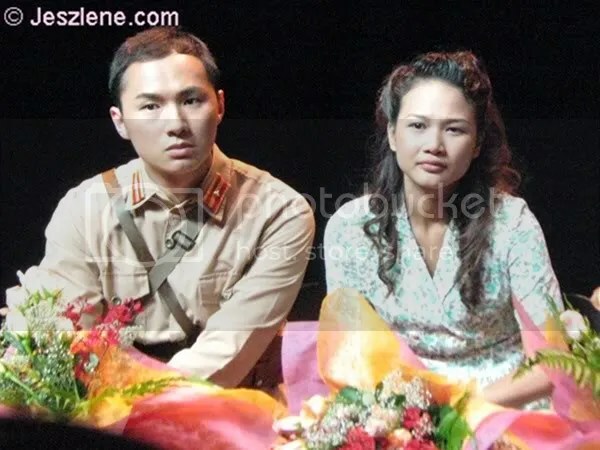 Photos are ripped from 1st Assistant Director Seng Yew’s facebook and DO NOT represent any of Playwright Jean Tay or Director Wee Li Lin’s intentions. 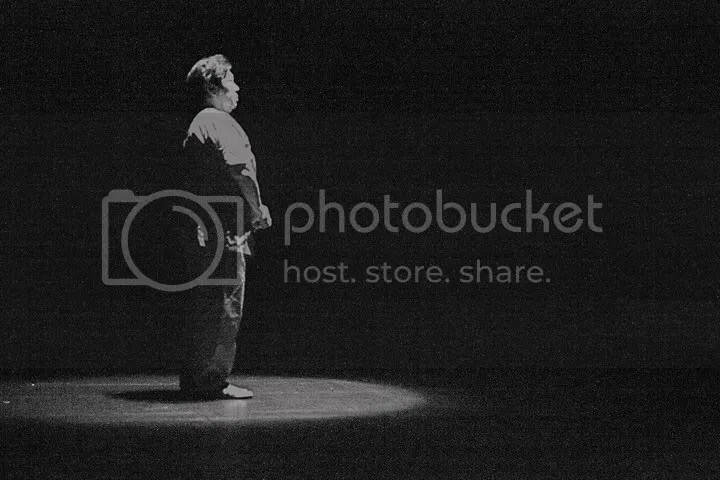 This is a blog about the Arts, travels and random bits of life yeah? So here’s my first post on the Arts!! 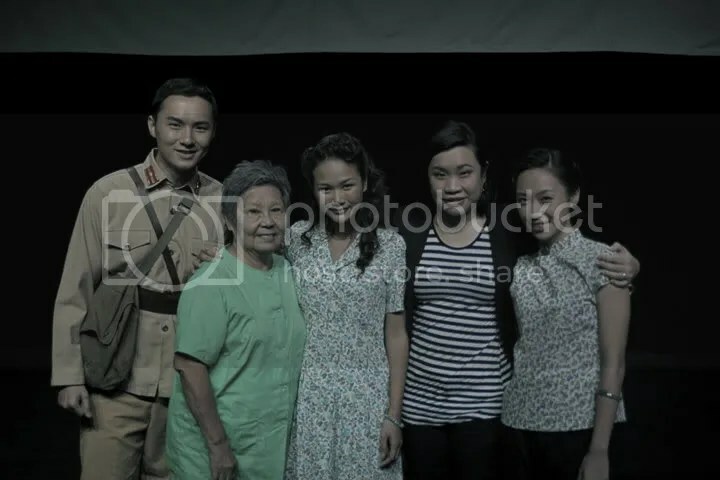 Last Friday I attended a Multi-disciplinary play by two friends, Filmmaker Wee Li Lin and Actor Jerry Yeo. 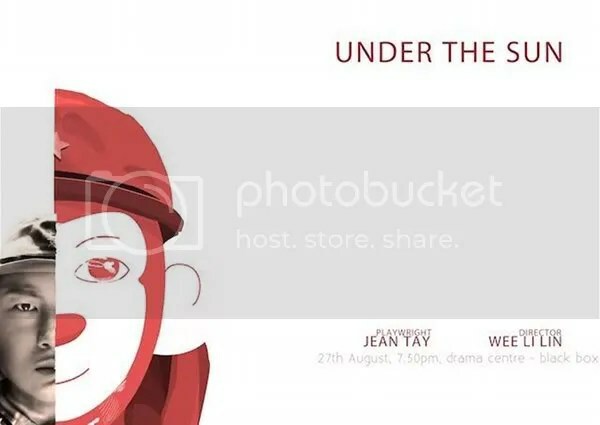 Under The Sun is a multi-disciplinary collaboration between playwright Jean Tay and filmmaker Wee Li Lin, which explores the wartime memories of two sisters, using both stage and screen elements. 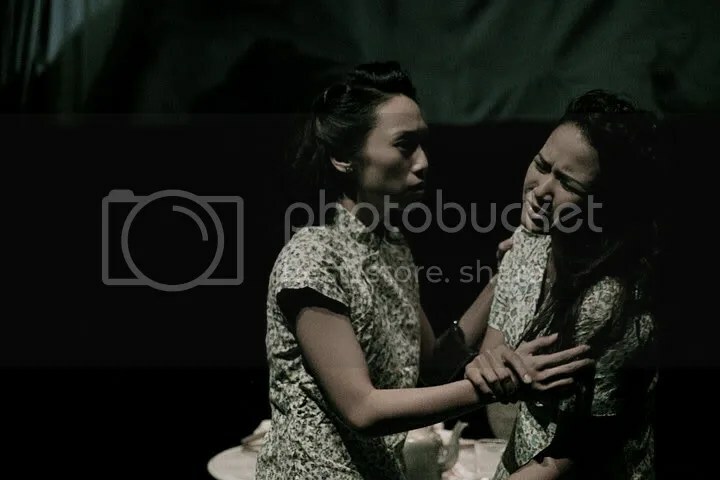 Their story unfolds on two levels, firstly, through a black and white silent film of the elderly sisters which depicts their lives in a sterile nursing home, even as their memories of World War II and one particular Japanese soldier return to haunt them. 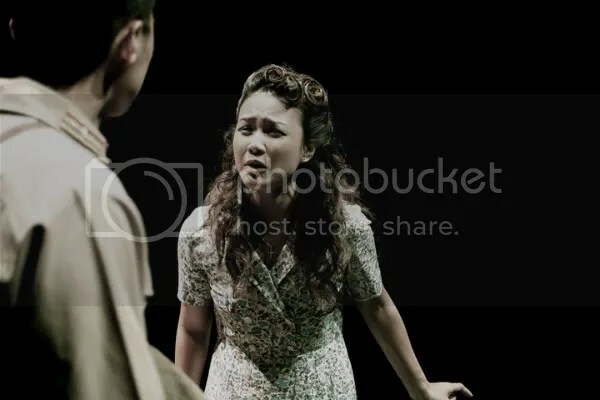 At the same time, scenes from their past are brought to life onstage, showing how their circumstances and the choices made in their youth eventually lead to betrayal and tragedy. 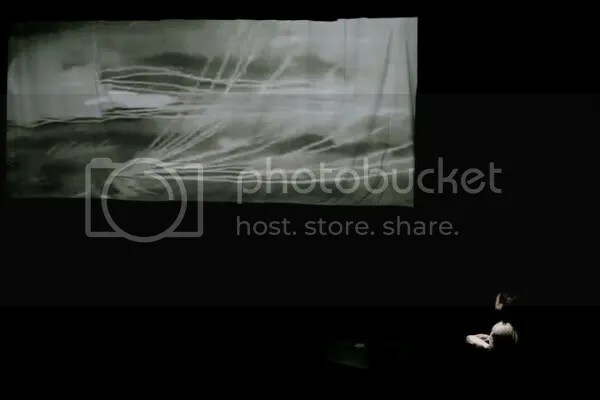 Using the concept of the benshi (Japanese performers who provided live narration for silent films in Japan in the 1930s), the project explores the boundaries between film and stage, and blurs the line between fantasy and reality, between the past and the future. 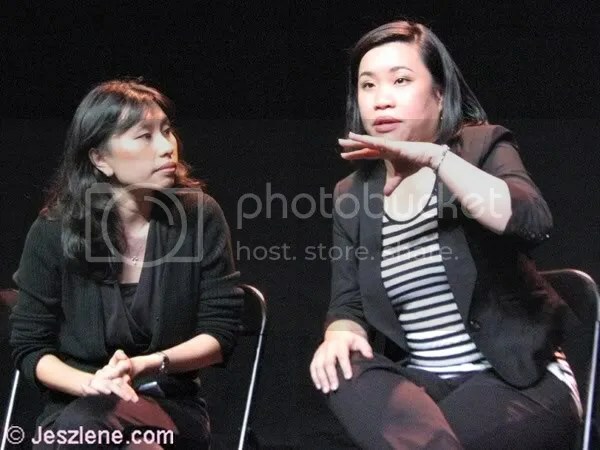 I was all hyped up about the performance, not only cause of Lin and Jerry, but it’s a MULTI-DISCIPLINARY, MULTI-LINGUAL, MULTI-CULTURAL, POST-MODERN project that is filled with NOSTALGIA, all of these capitalized terms being interests of mine! 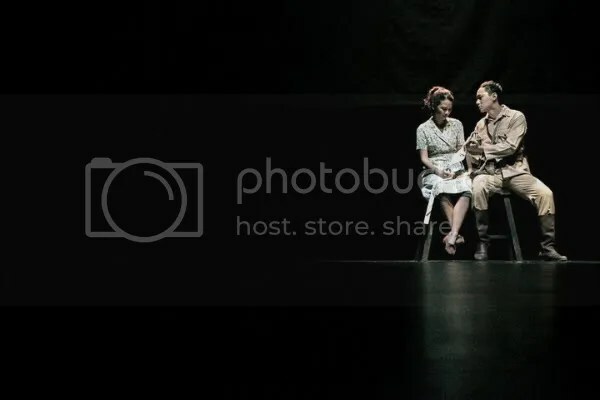 We all know it’s really distracting for the actors to be taking photos during an intimate showcase right? 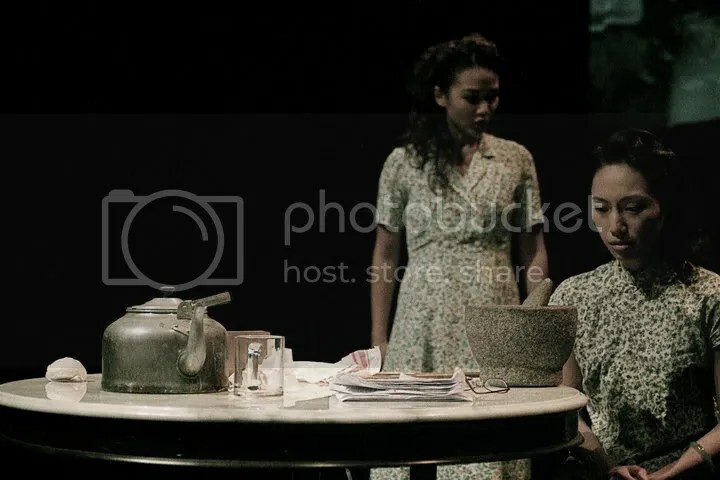 So, I’m ripping screen shots and behind-the-scenes photos from Under The Sun‘s FaceBook page instead. The lovely people I supported! Jerry’s performance was awesome too! 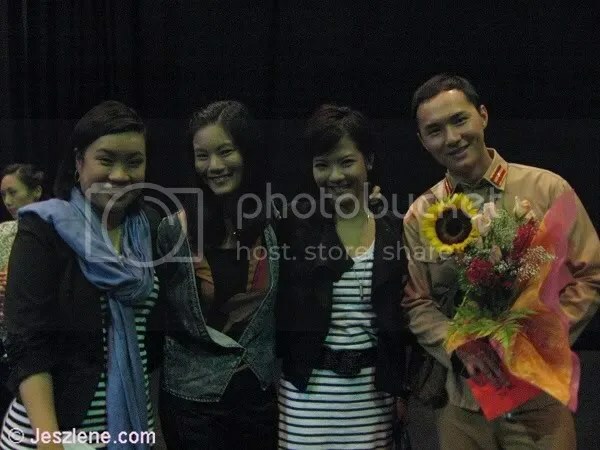 In fact, I told Lin that the casting for this project was really good, and all the actors did a wonderful job. Here’s a scene where Jean & Lin explores a dreamscape reality of the lovers, distorted by time, where Jerry’s character continues to haunt Moi into her old age. 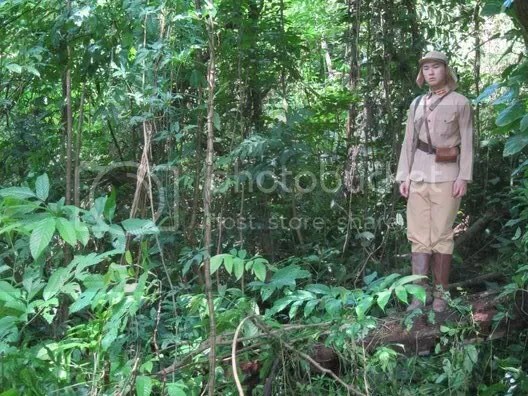 She’s also a nonsense director when it comes to getting the right shots, no matter how much effort it takes! 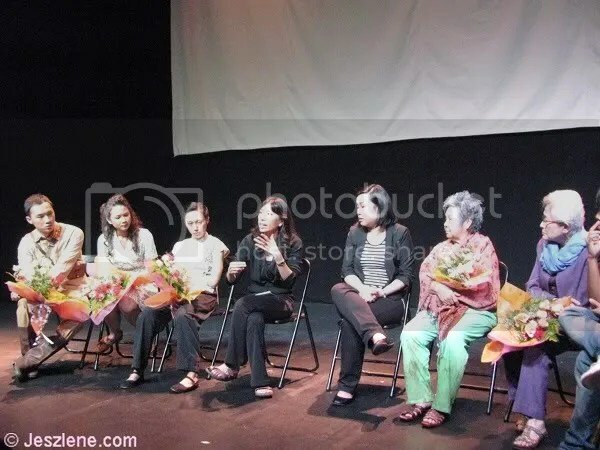 After the performance… came the Q & A where I happily took out my camera and starting snapping pictures!! 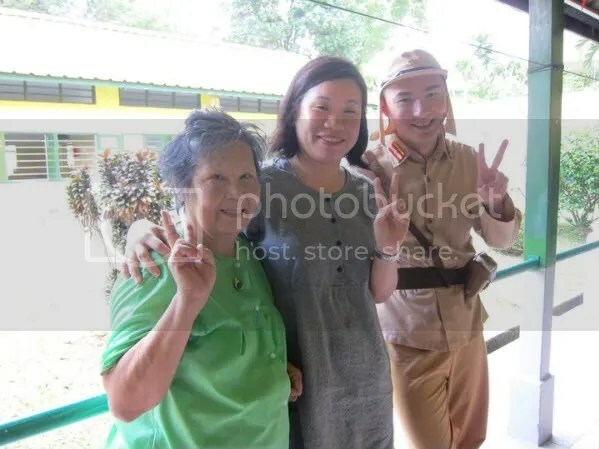 Choice of languages used (Hokkien, Japanese, and (both local & Japanese accented) English. How it affects the sense of reality and congruence. Also the inability of some audience to comprehend the text in full. Choice of mediums: films, old Japanese animation & stage performance. How that blurs the sense of reality, the documentary VS mockumentary effects, narrative styles. Pacing of the films due to overlaying of mediums. I LOVE a thinking audience, and an intellectual dissection of art. 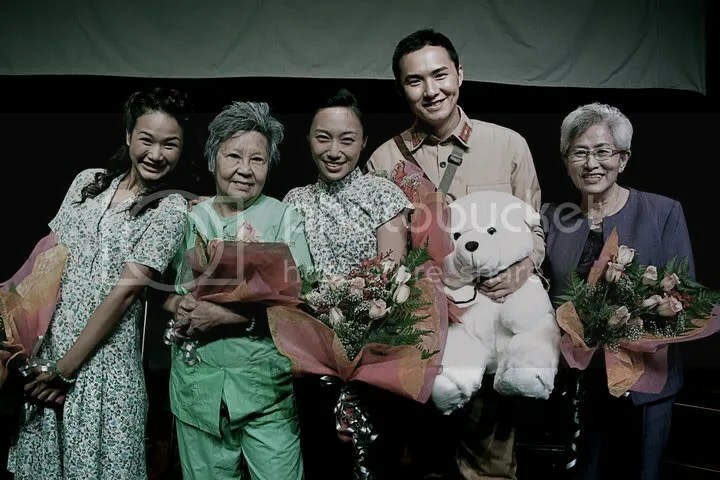 I think Li Lin, Jean & the cast really enjoyed the interaction too!! As a work in development, I think both Li Lin and Jean did a great job! Am looking forward to their polished product!! Of course I wouldn’t have left without a nice pic with these awesome people yeah? keep living and loving life! !